I lost my charger that came with my passport. What's best charger to charge my PP quickly as the one I'm using now charges very slowly. Use charger with 1300mA current (original charger) or 1800mA current. I agree completely. It charges the Passport very quickly. Playbook charger. Charge rate attached. For speed, definitely the PlayBook charger. If you want to go a different route, I just picked up a sync cradle from the Crackberry store and it works great. I like having my SE sitting up on my desk while I work so I can flip through the emails, texts, music, etc. You'll still need to figure out the wall plug adapter because it only comes with the actual cradle and a USB cable. But if you're looking to charge in a different way, there you go! Best ever I've use for more than a week now. 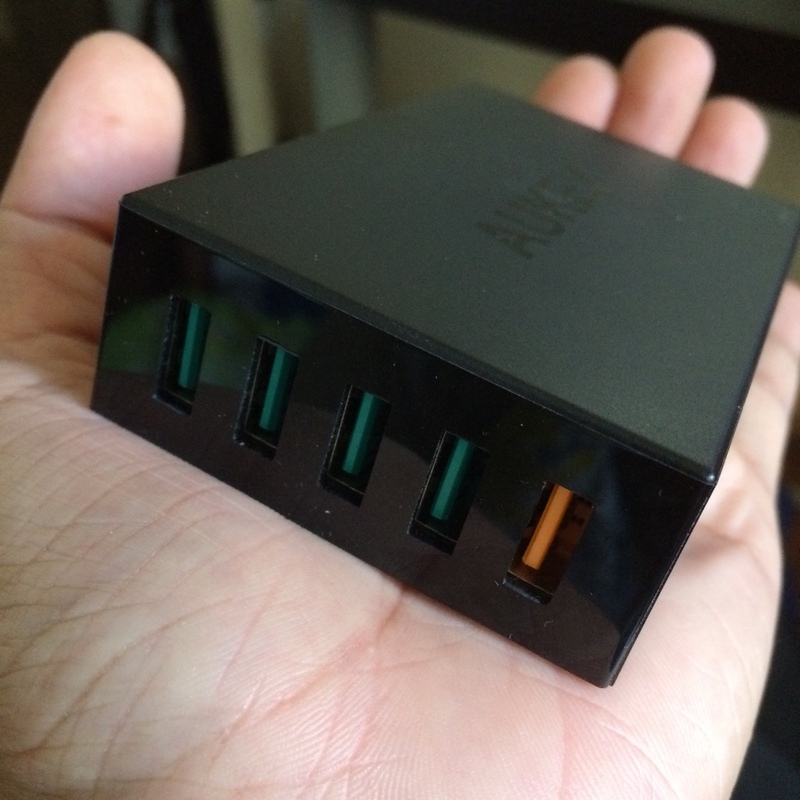 Aukey 5 Port Quick Charge 2.0 Desktop Charger! The orange one is for Qualcomm devices, and the Passport is one of them. Others can fast charge too using the other 4 ports. You can fire them all in one charge. Takes two or less than an hour to 100%. Do you mind sharing about the quick charge thing. Does it really charge faster than the conventional BlackBerry charger that come with the phone., or even playbook charger. Are you saying that our passport support quick charge in a way. Thanks in advance. 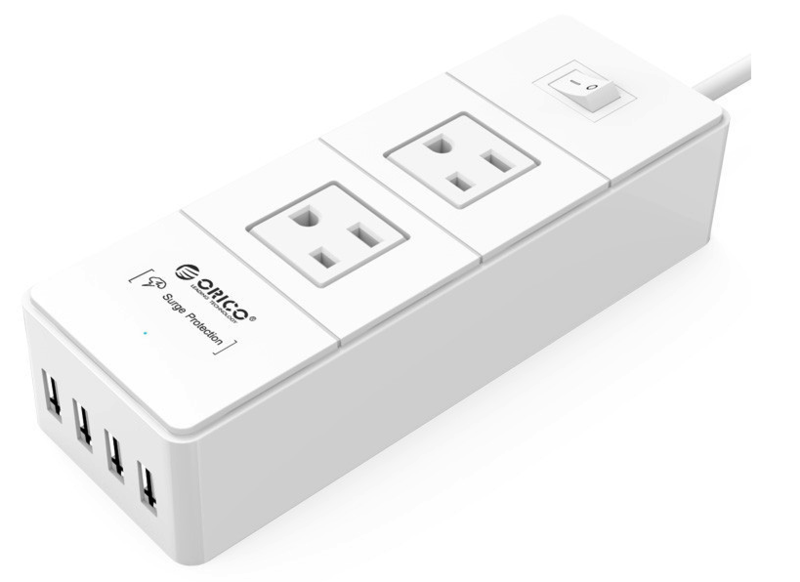 I don't know if this charger could work for the Passport, is Orico brand, a well known hardware brand. Thank you. I ordered a Playbook charger. Is a 10w iPad charger ok to use? It charges full in about 75 minutes using my 10400 MAH RAVPower portable charger, as long as I use the iSmart slot. The RAVPower charger is one of the most important devices in our home. Had it for a year now and it has not slowed down. Is it ok to use my Galaxy Tab charger? It's rated output is 5.0V at 2.0A. With no ill effects to the battery? I've been holding off using my Tab charger afraid that it would mess up my battery. But glad to know it's fine to use it.